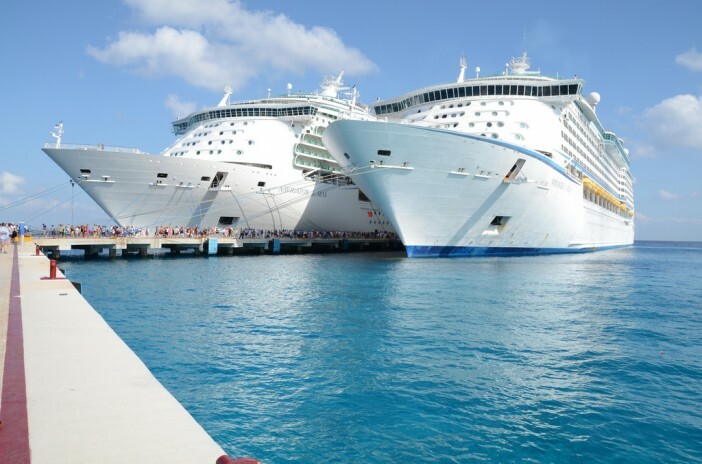 You are at:Home»News»Do Cruise Ships Rock Around a Lot? Do Cruise Ships Rock Around a Lot? One of the biggest reasons why people decide against taking a cruise holiday is the fear of a rocking boat. Many people believe this will lead to seasickness and difficulties sleeping, so opt for a land-based holiday in lieu of cruise. However, these fears may be somewhat misplaced. With your attention focussed on the beauty and the amenities of the cruise ship, it can be easy to forget what a feat of engineering the modern cruise ship is. Some of the finest engineering minds have helped develop weight management formulas for cruise ships to adhere to, helping keep an incredibly still balance. Cruise ships are capable of peacefully traversing chaotic seas. Much of the ship you won’t see (engine rooms, staff quarters et al) is based under the water line, this helps keep the distribution of weight in keeping with the necessary formulae. The general rule of thumb for cruise liners is the bigger they are – the more motion of the ocean is required to rock the boat. Passengers on huge liners such as the Royal Caribbean fleet will barely feel a thing when cruising on the seas. There may be slight sensations on choppy waters but even the most prone to seasickness can ease their woes with simple Motion Sickness pills. Cruise liners sell these on board but may be priced higher than you would find on land, so those prone to the sickness would be advised to stock up beforehand, even if chances are you won’t use them. Cruise ships also benefit from underwater stabilisers that work a lot like learning wheels on a child’s bike. Protruding from the right and left of the boat, they help keep the boat travelling as smoothly as possible. Using radar, ship captains can avoid and outrun the more extreme weather conditions such as hurricanes where possible. This can help protect the ship against any rocking and discomfort for passengers. The state-of-the-art meteorological equipment can help captains determine with a high accuracy the conditions their route will experience. There is a reassuringly longwinded inspection process carried out on all ships four times a year by coast guards. This is to ensure all parts of the ship are functioning perfectly and all safety equipment is in top condition. Every ship at sea is also subject to international Safety of Life at Sea (SOLAS) rules, which check everything from ship and maritime security to all on board engineering, working perfectly. All of these ensure the ships stabilising features are functioning 100%, leading to a smooth cruise. So if you’re looking for a smooth, pleasant holiday on the high seas; Cruise1st has a great range of deals aboard the world’s finest liners. Simply visit our site or call our dedicated team on 1300 857 345 for the latest deals. Image sourced via Flickr Creative Commons. Credit:Woody Hibbard, Carl Milner.